« NEW Year. NEW App! 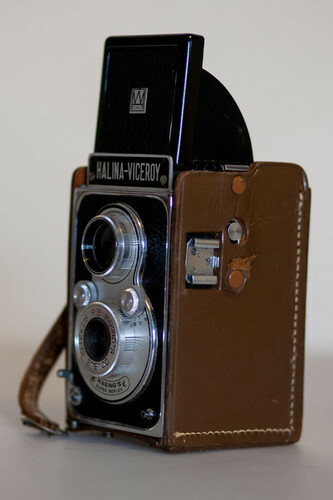 This 1960s Halina Viceroy 120mm Film Medium Format TLR (Twin Lens Reflex – pseudo TLR? aka cheap knock off of a rollieflex…oops did I say that out loud?) is still a good looking bit of kit! The seller was very helpful in answering, what must be to him, some very stupid questions and he also threw in a black and white film to get me started! What I like about this sort of camera, even more than 35mm cameras with meters is that you really have to look for the photograph, plan it a bit I think, about settings and how shaky your hands might be, rather than have the ability to rely on the speed of digital photography and just go mental and snap away like some people do.The simplicity of this camera is what has appealed to me mostly (that and it looks too cool and retro for words). It has no light meter or focusing. Only three aperture options ( 8, 11 and 16) and two shutter speed modes: 1/60 and Bulb! That’s insane, even by 1970s cameras standards, let alone 21st century standards. Film: 120 Roll Film with only 12 shots…non of this 64gb of card space to play with!! I WILL get this other roll developed and get them uploaded on a new post this year sometime! There’s more info on the Halina Viceroy HERE. 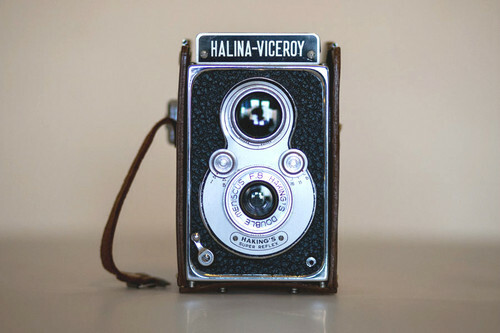 This entry was posted in Vintage Cameras and tagged 120mm, 1960s, camera, collectable, collection, film, halina, medium format, retro, tlr, viceroy, vintage.